Looks can be deceiving and accessories can change the look of your bathroom. However, Quality with design matters the most! You can add character to your bathroom, get it organised by fixing a bathroom storage baskets. You can add comfort by having the soap bar within handy reach and dry out the soap after every use. 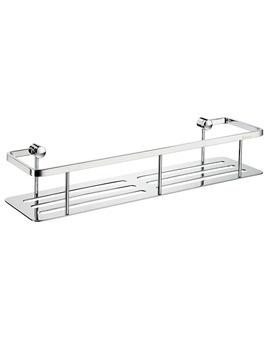 These are made of high quality materials, feature glossy chrome finish that lends style. 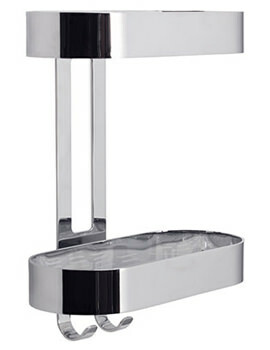 Dramatically designed, these can add a pinch of sparkling resplendence to any contemporary or traditional theme bathroom. 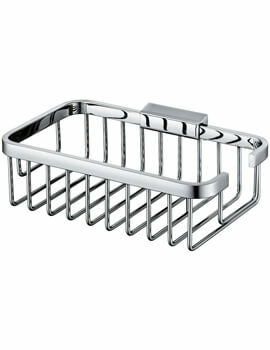 We offer a complete range of corner baskets. Manufactured from renowned brands such as Vado, Crosswater and Croydex, these accessories are made using the non-corrosive property of stainless steel, which makes these accessories highly durable and rust-free. You can get a variety of baskets at QS Supplies. Such as Twist N Lock, Stick N Lock, Wire Storage Corner basket, wall mounted and two-tier baskets and many others. These entire item comes complete fixing systems and with the proper installation instructions.